27 Mar – The public will have a final opportunity to comment on major changes being proposed for the planning system in Scotland, as a consultation on planning draws to a close next week. 24 Mar – Historic Environment Scotland (HES) has been awarded the World Wildlife Fund (WWF) Scotland Public Body Champion Award for the third year in a row in recognition of its work to tackle climate change, it was announced today (24th March). HES is working with partners across Scotland to switch off the lights at 15 historic castles and abbeys in recognition of Earth Hour tomorrow. 24 Mar – McLean Architects have brought forward proposals for internal and external alterations to the Wolfson Centre at the University of Strathclyde, including the addition of an external stair and lift core and new public realm, to accommodate growing numbers of students and researchers, report urban realm. 23 Mar – A £20m petrochemical HQ in Grangemouth has been unveiled by INEOS to serve as its UK base for its Olefins and Polymers business. 23 Mar – Noah developments and construction firm CCG have unveiled a terrace of six contemporary townhouses in Glasgow’s West End, including a renovated clubhouse for Partickhill Bowling Club. 23 Mar – Inverclyde Council has lent its approval to construction of a new Early Years Centre in Greenock designed by Holmes Miller and CCG. Construction and infrastructure-focused partnership hub South West is set to help forward-looking companies in Lanarkshire, Ayrshire and Dumfries and Galloway to get clued-up on how to win profitable new business from some of Scotland’s biggest building contractors. Its highly-successful “Building for Growth”, programme, now in its sixth round will walk company bosses through a programme which provides valuable key insights into how to take their businesses to the next level. The nine companies which will participate in hub South West’s March 2017 programme include JBB Groundcare, Racam Security and Communications, CHAPS, BMG Ltd, CCI Scotland, Clancy Consulting, CP Construction Solutions, McLaren Electrical Services and Lucion Services. There has been hot competition for places on the programme, from which 42 companies within the region have already graduated, and participants will learn from, and mingle with, some of the biggest players in the sector. Michael McBrearty, Chief Executive of hub South West, said: “The South West of Scotland is rich in ambitious companies in the construction and related sectors who want to take on greater volumes of business in a sustainable manner. “This programme, which already has been a resounding success, will bring in experts in the fields of people management, IT, tendering and marketing, as well as building relationships with hub’s Tier 1 Contractors who will meet the delegates with the aim of helping businesses to build the skills they need as well as to create the internal capacity for growth. 18 Mar – Regeneration projects in Glasgow and Edinburgh have been held up as best practice at the Scottish Parliament. Urban Union – a joint venture between McTaggart Construction and Robertson Group – has successfully completed the initial phases of regeneration at Laurieston Living in Glasgow and Pennywell Living in Edinburgh. Key to that success has been the inclusion of an award-winning arts strategy which has brought together current and future residents. Peter McCaughey of WAVEparticle and Kate Wimpress of North Edinburgh Arts explained how the arts has been integral to each development and showcased some of the innovative programmes they have created at Laurieston and Pennywell. Neil McKay, managing director of Urban Union, said: “Regeneration is about much more than simply building new homes. That can only be the starting point – truly successful regeneration has to be about building communities and that is why we embed an arts and living strategy into each of our projects. Laurieston Living is a £100 million revitalisation of the Gorbals area, with plans to deliver four phases over a nine-year period. The first of those phases is complete, with enabling works underway for phase two. In Laurieston, WAVEparticle’s Open Spaces project has made use of some of the vacant areas around the development, with pop-up events, exhibitions, community workshops, film screenings and theatre performances being held. The partnership is also working on a third development in the Muirton area of Perth, building 203 homes as part of the final phase of a regeneration project. Urban Union is a unique partnership formed by McTaggart Construction and Robertson Group Holdings to specifically deliver large-scale regeneration projects. Both partners have a proven track record in delivering mixed tenure projects and working to deliver ‘community benefits in procurement’ in Glasgow, Edinburgh and further afield. Urban Union is currently delivering three large-scale regeneration projects – Pennywell Living, Edinburgh. Laurieston Living, Glasgow and Muirton Living, Perth. The joint venture supports the priority given to targeted recruitment, training and supply chain opportunities presented all its projects. Both Urban Union partners have extensive regeneration experience and share a common view on social responsibility. 16 Mar – Graham Construction have staged a topping out ceremony for a £20.2m student housing development in Glasgow city centre, report urban realm. Located on a prominent junction the Bath Street. Completion of the Church Lukas designed scheme is anticipated by August. 15 Mar – 7N Architects acting on behalf of CALA Homes have tabled plans to build a pair of ‘pavilion villa’ apartment blocks and three detached houses in Thorntonhall, South Lanarkshire. 14 Mar – Scottish Government statistics published today show the total number of new homes being started in order to address the country’s housing crisis has fallen by five per cent to 16,870 over the last year, dragged down by a worrying private sector drop of 14 per cent, down to 11,816. In comparison, social sector housing starts increased by 24% to 5,054. 13 Mar – ICA Architects have followed up a change of use application to convert the disused Douglas House office block on Glasgow’s Waterloo Street into a hotel by filing plans to replace the failed curtain walling while infilling upper storeys around the existing concrete frame, reports urban realm. 13 Mar – ICA have obtained planning consent for conversion of the A-listed Anchor Line building on St Vincent Place, Glasgow, to form a 64-bed aparthotel. 13 Mar – Stallan-Brand Architects have brought forward makeover proposals for Hanover House on the junction of Cadogan Street and Douglas Street, Glasgow. 11 Mar – McAslan + Partners have lodged long awaited proposals for a major overhaul of the Burrell Gallery in Pollok Country Park, Glasgow, to safeguard its long-term future. 10 Mar – ZM Architecture and New City Vision have reheated credit-crunched plans to erect a housing-led regeneration of Glasgow’s Graving Docks, potentially bringing the site back into use after 40 years. 10 Mar – Moda Living, developer behind a £105m vision to deliver 450 homes for private rent in Glasgow, have staged an initial consultation outlining their indicative plans. 10 Mar – A one-day interactive training course on CDM regulations from Glasgow Caledonian University. The CDM Regulations were updated in April, 2015, when they were revised to bring them into alignment with the European Temporary or Mobile Construction Sites Directive (TMCSD). The new Regulations affect clients (including domestic clients), designers, consultants and contractors. 7 Mar – A ‘topping out’ ceremony was held for the construction of V&A Museum of Design Dundee. A Douglas Fir tree was positioned ceremonially by crane at the highest point of the building, nearly two years on from the start of construction. 7 Mar – A controversial student housing development south of the Glasgow School of Art due to proceed. Haus Architects removed a floor to placate the school which had voiced objections on the grounds of overdevelopment and ‘harmful impact’ on Mackintosh’s masterpiece, reports Urban Realm. Revised proposals show altered massing designed to increase visibility of the GSA’s southern gable, increasing the amount of light able to reach the school in the process. 7 Mar – Glasgow’s StudioKap Architects are renewing an application to proceed with a mews building on land to the rear of 36-40 Albany Street, Edinburgh, following completion of a residential conversion of adjoining townhouses. 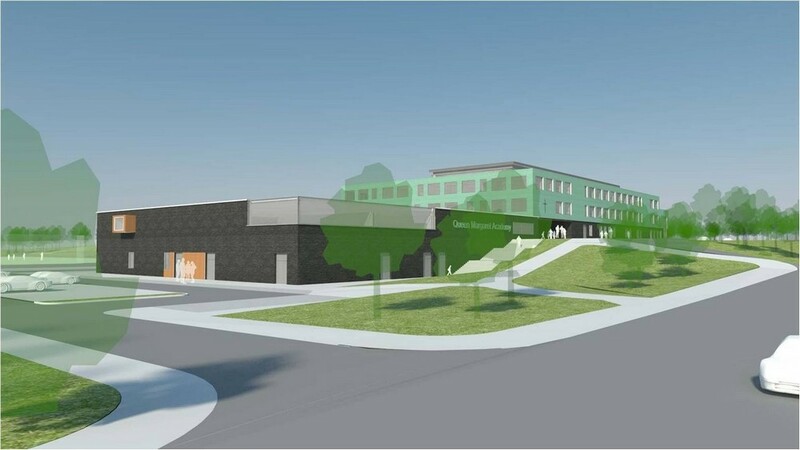 6 Mar – South Ayrshire Council are to press ahead with a new Invergarven School later this month within the grounds of Girvan Academy, in a boost to the education of children and young people with additional support needs. 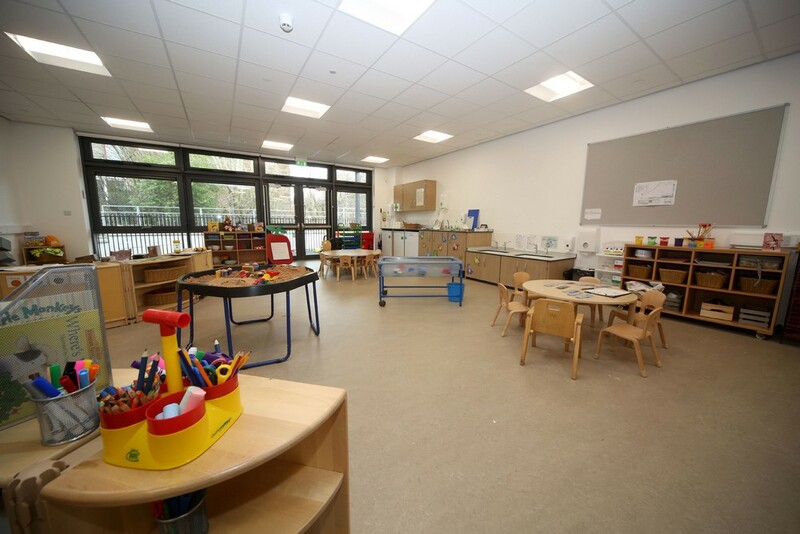 The £3.7m school building has been conceived by Glasgow’s JM Architects and the council’s own professional design service to take the place of the current Invergarven special school for children of primary and secondary age. 6 Mar – Holmes Miller have drafted plans for the final phase of regeneration in Oatlands for consideration by Glasgow City Council, concluding a 12-years and counting masterplan for the south side district to deliver 1,500 homes. 6 Mar – CALA is spearheading a housing-led masterplan for Strathclyde University’s former Jordanhill Campus with the submission of plans to convert historic buildings on the 31-acre site alongside new build accommodation, reports Urban Realm. Centred on the B-listed David Stow building, which will be converted to luxury apartments alongside Graham House and Douglas House, the scheme will deliver more than 400 new homes while retaining 40% of the grounds as open green space. Unbuilt Mackintosh showcases stunning architectural models based on the unbuilt designs of Charles Rennie Mackintosh. The models produced by Glasgow-based model-makers Ozturk, are fantastically accurate and help us to appreciate Mackintosh’s architectural vision. From Tuesday 7th February 2017, all Unbuilt Mackintosh models will be available to view in our Review Gallery on Level One. This will be the first time in over a year that all models are displayed together. 5 Mar – Moda Living follows its acquisition of the former headquarters of Strathclyde Police in Glasgow by purchasing Grosvenor’s Springside development at the opposite end of the central belt in a £215m off-market deal. Moda and joint-venture partner Apache Capital were advised by Rettie & Co on the deal which will create 500 homes for rent in addition to 25,000sqft of commercial and retail space in the Fountainbridge district of the city. Graeme Nicholls Architects is an emerging architectural studio formed by Graeme Nicholls, an award winning architect, educator and critic based in Glasgow. 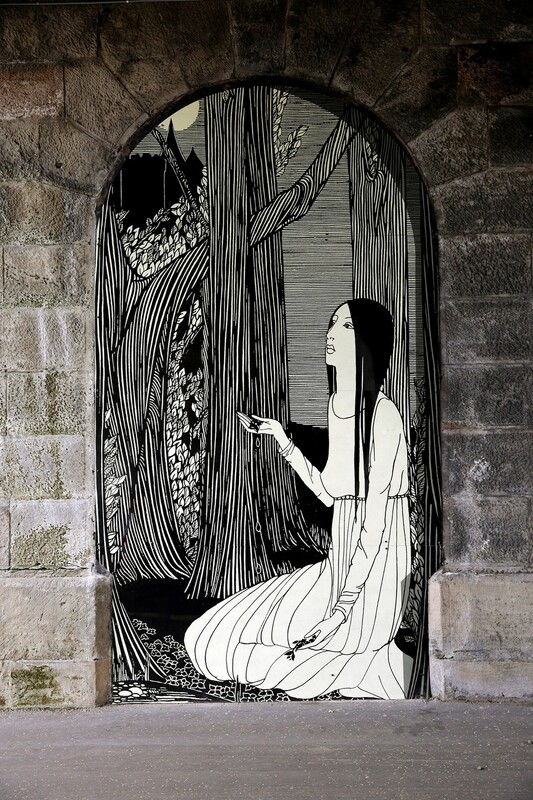 Graeme’s work is characterised by an interest in proportion, innovative use of materials, and a rich layering of cultural references to create a unique ‘narrative’ for each design. The exhibition consists of visuals and physical models and will cover a wide range of the practice’s early projects in the UK and abroad. 1 Mar – The home building industry has opposed Scottish Government proposals to increase the maximum fee level for planning applications to £125,000 because there is no proposal to ring-fence the extra income and no mechanism to guarantee that the performance of the system improves. “We do not object to the principle of reviewing and increasing fees but in recent months the average decision time for major housing applications has been 48.5 weeks – more than three times the statutory period of 16 weeks. This is disastrously slow and does not include the likes of negotiating Section 75 Agreements or road construction consents. “The slowness of Scotland’s planning system works against the common goal of all those who want to increase the delivery of much-needed new homes. Indeed, our members tell us it has never been harder to get homes out of the ground. “As no evidence has been provided to suggest the planning fee is the root cause of poor performance, or that the increase now proposed will guarantee a material improvement to applicants, we cannot support the measures currently being put forward. 28 Feb – Milestone for SPRUCE fund. The Scottish Government’s SPRUCE (Scottish Partnership for Regeneration in Urban Centres) fund has been so successful that more money is now available. The fund initially invested £50 million, in loan form, in regeneration and energy efficiency schemes across Scotland. As those loans are starting to be repaid and some ahead of time, the investment can be recycled and used to deliver further regeneration projects. Housing Minister Kevin Stewart today announced £8.9 million to support refurbished office space in central Edinburgh. More details on the Edinburgh Architecture website news page. 27 + 24 Feb – Glasgow’s Trongate appears to be on the up in the wake of the giant Candleriggs Quarter project with the emergence of plans to convert a B-listed former warehouse building designed by J T Rochead for residential use. Jewitt and Wilkie Architects acting on behalf of Cartland Holdings propose to fashion five serviced apartments within the upper floors of a corner block at 97-10 Trongate, including addition of a two storey duplex, accessible from a new entrance off 101 Trongate, report urban realm. “This further deterioration in home affordability, highlighted by an increase of 3% on the average city house price, is a worrying trend for both those looking to purchase in Scotland’s vibrant cities as well as for the industry as a whole. “We are encouraged by the figures on lending to FTBs, with the number of loans issued to this crucial group up 5% on the same period last year. However, today’s figures also highlight a decline in activity for other home buyers north of the border, which is concerning given the importance of a healthy housing market which offers flexibility at all rungs of the ladder. 23 Feb – Glasgow City Council has awarded the design contract to build a footbridge connecting Govan and Partick to CH2M Hill following the allocation of funding from the £1.13bn Glasgow City Region City Deal, reports Urban Realm. 22 Feb – Celtic Football Club have filed a proposal of application notice with Glasgow City Council to erect a hotel, shop, ticket sales office and museum as part of an ambitious expansion of Celtic Park. Royal High School Hotel Design on Calton Hill. 21 Feb – A Spartan office shell at Glasgow’s Skypark has been transformed into modern office accommodation more befitting of its tenants, holiday firm Macs Adventure. 20 Feb – Glasgow City Council have stepped forward to deliver a £115m public realm upgrade of Sauchiehall Street with the aim of prioritising pedestrians and cyclists. The Burns Country village of Tarbolton in Ayrshire has a brand new heart following the successful completion of the latest project by construction and infrastructure-focused partnership hub South West. 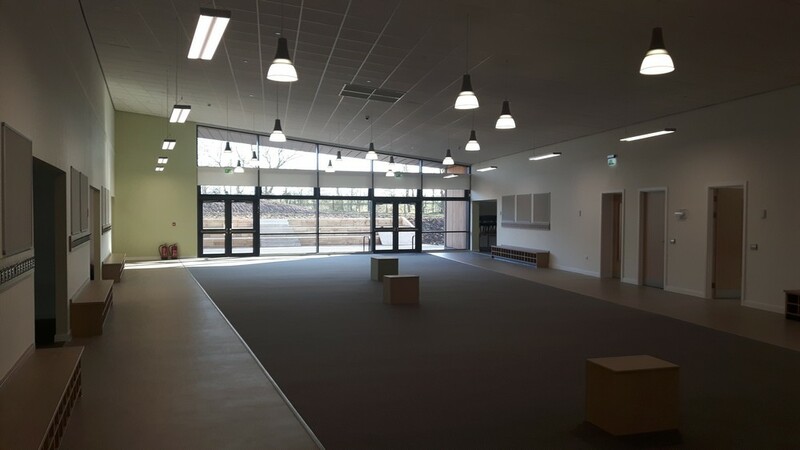 The first classes were held last week (Friday, 17 February) at the £3.8 million Tarbolton Community Campus, a flagship building which will house 297 primary children and 40 early years children. The low-rise building, with its impressive circular entranceway, will also house sports, leisure and library facilities. Meeting rooms are available for use by the whole community, which is home to Burns’s Bachelor’s Club. The latest asset to the village was a collaboration between hub South West and South Ayrshire Council, the partnership which enables cost-efficient design and construction of community facilities in the region. Construction work on the project was undertaken by Morrison Construction. The initiative aims to provide value for money and generate growth in the local economy through a new method of partnership working and procurement. The Tarbolton Campus was delivered on time and on budget. It has been just under a year since contracts were signed and work began. Tarbolton Community Campus is the second of four projects hub South West will have delivered on behalf of South Ayrshire Council within four months. The first was the Phase-1 redevelopment of Marr College in December 2016. Tarbolton will be followed by Dailly Primary School and the new Carrick Leisure Centre (The Quay Zone) next month. 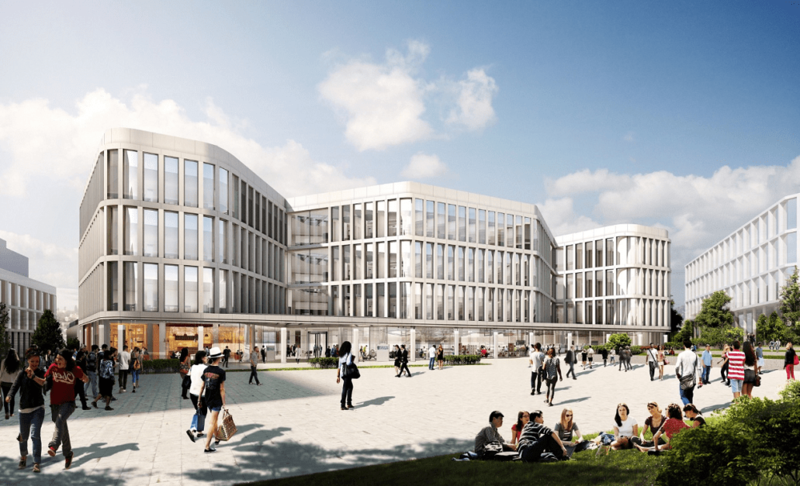 18 Feb – Glasgow City Council has lent its approval to The University of Glasgow to press ahead with an ambitious campus masterplan after awarding planning in principle for the former Western Infirmary site. A first phase of work will see work to demolish the current mathematics building get underway in the spring, followed by the hospital over the summer to allow creation of a new Learning and Teaching Hub; Research Hub; Institute of Health & Wellbeing; Adam Smith Business School and a new College of Arts. The University of Glasgow campus masterplan has been drafted by 7N Architects, Simpson & Brown, Aecom, Arup and LUC. 17 Feb – Network Rail have brought forward plans for an internal reconfiguration designed by ISP Architects of Glasgow Central railway station, The proposal involves the removal of an existing curtain walled stair enclosure and its replacement with a hardwood and wrought iron reinforced concrete access. 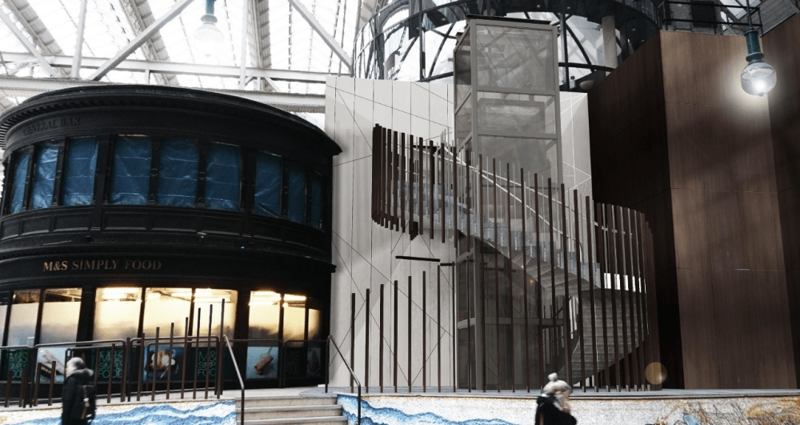 To allow an existing lift shaft to be maintained the stair will be overclad with new porcelain tiles to match new retail entrance porches below. 16 Feb – Off-site construction specialists CCG have published plans designed by Mast Architects for an innovative residential build in Yoker, Glasgow, combining use of cross laminated timber (CLT) and an acrylic brick-slip façade to create what will be the tallest timber structure in Scotland. Situated on Ellerslie Road the development of 42 flats for Sanctuary will reach up to seven storeys, affording tenants expansive views over the River Clyde. 16 Feb – Drum Property Group proposals for 189 flats at Minerva Street, Finnieston, updated to improve design and materials specified in a previously consented scheme by Progressive Residential. Drum Property instructed DarntonB3 Architecture to up the material-spec and design ambition. This international architects firm seems to have been built up by a multitude of mergers and acquisitions. The practice formed through the 2015 merger of Darnton EGS Ltd and B3Architects. Their established history is traceable to pre-1900. they currently have six offices in England, two in Wales, one in Scotland (Glasgow) and Oman plus South Africa. In 2012 B3Architects acquired G5 of Glasgow. 15 Feb – Glasgow’s architecture has come into focus at a new exhibition which shows familiar places in a new light through careful consideration of the northern light within which the city occasionally basks, reports Urban Realm. ‘Glasgow Shadows’ was shot by Robin Johnston depicts deserted alleys and grandiose structures lent a film noire-esque feel by a polarizing filter and a keen eye for detail and can currently be found hanging within Skypark’s gallery space. 15 Feb – Argyll & Bute Council have conducted a turf-cutting ceremony to signal the start of on-site works to deliver a new look Hermitage Park in Helensburgh, reports Urban Realm. A £3.3m restoration and redevelopment of the town centre resource will introduce new playgrounds and fountains, overseen by the Friends of Hermitage Park Association. Work will include the demolition of a toilet block to be replaced by a Hoskins Architects designed pavilion. 13 Feb – Reiach & Hall Architects and Raglan Development have advanced proposals for what is described as being a ‘new model’ of student housing on Glasgow’s Port Dundas Road, offering tenants a greater range of social and amenity space than is typically the case for standard builds, reports Urban Realm. Focussed on a ground floor social space the scheme includes a foyer, café, gym, lounge and games hall which will spill over into a courtyard garden and surrounding streets. The building will include 444 cluster flats alongside 156 studio rooms and have 18,100sqm of gross internal floor area. 13 Feb – McTaggart Construction and Anderson Bell + Christie have filed plans for 24 new homes and associated infrastructure in Saltcoats, Ayrshire, having been instructed by Cunninghame Housing Association to deliver a third phase of housing at Sharphill. 13 Feb – Page\Park Architects have been appointed by the Friends of Broadway Prestwick to undertake a feasibility study examining potential re-use of the disused landmark for the benefit of the local community, reports Urban Realm. Opened in 1935 the C-listed Broadway was designed by Alister G. MacDonald, son of Labour prime minister Ramsay MacDonald and operated as a cinema on and off through to 1976. 13 Feb – Stewart Associates have won planning consent to demolish the former Victoria Hotel on Gallowgate Street, Largs, to enable construction of 12 one bed flats for the elderly, reports Urban Realm. 12 Feb – M8 City Park project progresses, reports urban realm – dramatic plans by Keppie to heal a 40 year-old wound in Glasgow city centre by ‘capping’ over a section of the M8 motorway have drawn a step closer with procurement for a feasibility study set to get underway in late spring 2017 with more detailed engineering studies and site investigations penciled in for the spring. 7 + 6 Feb – Perth & Kinross Council launch a design contest to source an architect to lead the renewal of Perth City Hall. Having initially sought to demolish the landmark the local authority now intends to transform the building into a £20m cultural attraction as part of a bid to be crowned UK City of Culture 2021. Organised by the RIAS this Perth design competition invites architects to apply for the pre-qualifying stage of the competition before five qualifying architects go on to draw up more detailed proposals as part of the tender process. 7 + 6 Feb – South Ayrshire Council have commenced an internal fit-out at a £5.4m leisure centre serving the communities of Girvan and South Carrick following completion of exterior works, report urban realm. The Quay Zone has been designed by Norr Architects and is due for completion in March. 5 Feb – East Kilbride adventure course designed by Taylor Architecture Practice (T.A.P) at East Kilbride shopping centre: a newly unveiled aerial adventure course at ‘The Hub’, report Urban Realm. 1 Feb + 31 Jan – The shortlist of architect-led teams will compete for the contract to design a new multi-purpose arts centre at 36 St Andrew Square in the centre of Edinburgh’s New Town. 29 Jan – The Scottish Design Awards announces a 22 February entry deadline for practices. This year’s architecture panel includes John Pelan of the Scottish Civic Trust and Penny Lewis, lecturer at the Scott Sutherland School of Architecture. An awards ceremony will be held on Thursday 27 May. 27 Jan – In 2016 we reported on Edinburgh Council’s sell off of various public conveniences from London Road to Joppa. Now it has been revealed that LDN Architects plan 11 flats on the site of a 1960s-public convenience. Abutting an existing tenement on Canaan Lane in the Morningside conservation area the six-storey scheme has been conceived as a ‘visual stop’ to an urban block before it reduces in scale to two storey villas. News of other proposals are welcome. 27 Jan – A new milestone has been reached in the development of the UK’s first horizontal launch spaceport at Machrihanish Airport, Campbeltown. Leading UK space science and technology firms QinetiQ and Telespazio VEGA UK have agreed Memorandums of Understanding to work with Discover Space UK on investigating the potential of the former RAF Machrihanish site that incorporates Campbeltown Airport, reports The Scotsman. The UK government has previously said it wanted to establish a spaceport by the end of 2018. It launched a consultation in 2014 and two years ago it drew up a shortlist of potential sites. These also included Prestwick, Stornoway, Newquay airport in Cornwall and Llanbedr airport in the Snowdonia National Park. The spaceport project is being developed by the UK Space Agency on behalf of the UK government and the legislation for the development of a UK spaceport will be contained in the Modern Transport Bill that is currently going through parliament. 26 Jan – An outline planning application has been filed for the creation of up to 700 homes at Port Dundas, Glasgow, including supporting shops, a pub, restaurant, hotel, leisure and sports facilities, report Urban Realm. 26 Jan – Perth and Kinross Council has appointed Hoskins Architects to lead design work on a £10m overhaul of Perth Museum & Art Gallery. 25 Jan – Glasgow City Council has outlined a £9m bid to overhaul the public realm along Byres Road in the heart of the city’s west end to enhance the famous thoroughfare as a destination for shops and bars. 25 Jan – ZM Architecture are proposing to renovate a collection of B-listed former mill buildings in Glasgow’s Gorbals district, as part of a new build residential scheme off Old Rutherglen Road. Overlooking Gorbals Road Garden the 92 properties will range from studios through to loft-style family homes. Two health buildings fronting Commercial Road will be demolished to be replaced by a pair of new build blocks. 24 Jan – TThe University of Strathclyde has opened tendering for an integrated design team to project manage a teaching learning and social hub spanning the present Colville and B-listed Architecture buildings. The Place @ Strathclyde aims to provide a new heart for the city centre campus with design proposals calling for the pedestrianization of Richmond and North Portland Street’s together with a revamp of Rottenrow Gardens to ameliorate a precipitous 1:6 gradient. BDP and Gardiner & Theobald were tasked with undertaking an options appraisal for the brief in April 2016, determining that the preferred option would be a refurbishment with new build limited to a ‘wedge’ insert to create a series of ‘learning terraces’ between both. 23 Jan – East Ayrshire Council have unveiled plans to erect a giant 23,000sq/m learning and enterprise campus at Knockroon. 23 Jan – Organic Architects have tabled plans for what would be the largest whisky distillery in Britain outside Scotland at Princetown, Dartmoor. 23 Jan – Proposals for the creation of 102 flats and 302sqm of retail space designed by Foster + Partners, the final phase in this large masterplan: Quartermile Apartments news. 20 Jan – Austin-Smith:Lord have announced that they are to collaborate with Bell Building Projects and Will Rudd Davidson on a new horticulture teaching block at Glasgow Clyde College’s Languid Campus, report Urban Realm. 20 Jan – Holmes Miller Architects have submitted designs for their second Glasgow primary in as many weeks with proposal for a replacement Blairdardie Primary. 20 Jan – Anderson Bell + Christie and McTaggart Construction have prepared plans for 48 homes for social rent on behalf of Hawthorn Housing Co-operative at a former ironworks on Ashfield Street. 20 Jan – A landmark distillery tower which dominates Dumbarton town centre is to be felled to make way for a waterfront housing development for Dunbritton Housing Association. 20 Jan – A brownfield site in Springburn town centre is being targeted by AS Homes for delivery of a £5m development of 40 flats for social rent. Located on Springburn Way the George Buchanan Architects scheme will offer all two-bedroom flats spread across two four storey blocks using timber framing. 19 Jan – Cameron House Hotel has been given permission by Loch Lomond & the Trossachs National Park Authority to erect an external terrace extension to the five star 18th century baronial mansion. 19 Jan – South Ayrshire Council have formally opened the first phase of work at Marr College , a new technical wing, ahead of its full opening by the end of the year. 19 Jan – The communities of Dunbeg and Ganavan could be merged to form one continuous urban area following submission of proposals by Link Group and Elder & Cannon Architects to build 600 conjoining homes. 19 Jan – Sanctuary Group have confirmed that only the Nightingale wings, gatehouse and a listed administration block at Glasgow’s former Victoria Infirmary will be retained. 17 Jan – Watkin Jones have unveiled a 504-bedroom student housing development in Glasgow spanning five individual blocks of accommodation by the River Kelvin, reports Urban Realm. 17 Jan – USP and USI, ground and upper floor owners of Glasgow’s at-risk Egyptian Halls, have brought forward proposals for a façade retention scheme at the A-listed landmark. 17 Jan – East Dunbartonshire Council is on track to deliver a garden pavilion within the grounds of Kilmardinny House, Bearsden, by the spring providing for the arts, conferences and wedding, reports Urban Realm. 16 Jan – Two of the best known female faces in Scotland’s home building industry are in the midst of final arrangements as they prepare to fly to India later this month to help some of the country’s most marginalised communities build their own homes. Supporting the vital work of Habitat for Humanity, Chief Executive of trade body Homes for Scotland Nicola Barclay and colleague Gill Henry of Cruden Homes will be taking part in the charity’s “Women Build” event in Mumbai from 21-28 January. Helping to provide the poorest and most vulnerable with a decent place to call home, they have already raised an impressive £8,500 to support the charity venture, which will see them working on a building site and undertaking tasks such as mixing and pouring concrete, bricklaying, painting and plastering. “We know it’s going to be a tough job, but more than half of the people in Mumbai live in slums with many more living in extremely basic tenements or on the streets. “Coming from an industry which is rooted in the premise that everyone should have a safe and secure home, having the opportunity to join with other women to help improve conditions for those less fortunate than ourselves is a great privilege and gives us the chance to give something back. “I’m delighted that Gill Henry and Nicola Barclay are participating in our Women Build in Mumbai this month. Their commitment to providing safe, affordable homes for vulnerable families is testament to the values shared between our organisations. 16 Jan – M&G Real Estate are gearing up to redevelop a vacant office block on Glasgow’s Cadogan Street, raising a dated 1980s structure with inefficient floorplates to make way for 275,000 sq/ft of net grade A floorspace, reports Urban Realm. A design team led by Cooper Cromar propose to replace Corunna House with a 12-storey block bounded by Home, West Campbell and Blythswood Street’s, with a tenth-floor setback offering opportunity for outdoor terraces. 16 Jan – AS Homes have unveiled proposals for a residential development at the former Maxwell Road gasworks in East Pollokshields to deliver 140 affordable flats and houses, reports Urban Realm. George Buchanan Architects have taken the reins of the build which will occupy 8.3 acres of industrial land to the north east of the Victorian garden suburb. 16 Jan – ADF Architects have brought forward plans to erect a significant student housing development in Glasgow’s Merchant City on behalf of Structured House, complementing ongoing regeneration at Collegelands, reports Urban Realm. Merchant Point will offer 431 units of student housing in a staggered block stepping up to 13 storeys at the junction of High Street and George Street and is formed from two tone facing brickwork and polished precast concrete. 16 Jan – CDA have joined Richard Murphy Architects in the delivery of a significant urban regeneration project in Glasgow’s Merchant City to bring forward delivery of a new city block, reports Urban Realm. The practices involvement comes following submission of a revised application for the consented scheme, after the acquisition of two additional parcels of land, enabling a continuous frontage to be created along both Trongate and Candleriggs. 10 Jan – Keppie Design worked in partnership with leading construction company, Dixons Contractors, to complete the multi-million pound Academy of Sport and Wellbeing at Perth College, part of the University of the Highlands and Islands, Scotland, in time for the 2016/2017 academic year. 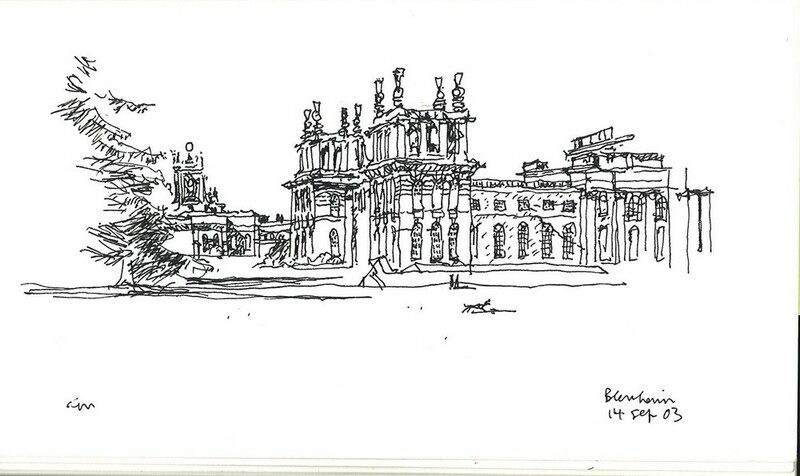 10 Jan – The GSA will showcase Andy MacMillan and Charles MacCallum sketch books in April as part of 2017 exhibition programme. Running from 22 – 30 April 2017, the show will complement a book being jointly published by the Mackintosh School of Architecture, the Glasgow City Heritage Trust and Freight Books. Professor Andrew MacMillan and Professor Charles MacCallum, two professors at the GSA Mackintosh School of Architecture, kept personal sketchbooks. It has been decided to publish some of these sketches, as they give an intriguing insight into how an architect thinks and what he observes, including how an architectural idea or detail may be developed. Some of the sketches are of every day scenes, some of buildings and details that the architect wished to record, and some are developments of building plans and sections where different possibilities were being considered. The exhibition, which will be curated by Robin Webster and the Mackintosh School of Architecture, will feature some of the sketches along with a selection of the 158 sketch books that are being donated to the GSA Archive by the architects’ families. Dates for Degree Show 2017 were also confirmed. The annual showcase of work by graduating students will run from 10 – 17 June with work by students in the Mackintosh School of Architecture shown in the Bourdon Building. 10 Jan – Pollokshaws housing design by Graeme Nicholls Architects: 24 flats proposed on behalf of Merchant Homes Partnerships on the site of the former Pollokshaws Baths, Glasgow, reports Urban Realm. The proposed scheme will reinstate an ‘urban edge’ to Ashtree Road and Christian Street with twin tenement and villa-scaled blocks which reference 19th century immigration of Flemish weavers by employing Dutch-style gables and facing brick. 10 Jan – Keenly-awaited Scottish Government proposals for transforming the planning system, published today, have been positively received by the country’s home builders. “We agree with the Minister for Local Government & Housing that planning should be inspiring, influential and focused on outcomes. “Reinforcing the need for such a new perspective are recent performance figures showing planning decision times for major housing applications slowing further to 48.5 weeks, more than three times the statutory period. “Scotland needs significantly more homes for its growing population but builders are finding it harder than ever to make a start on new sites and get houses out of the ground. “We are therefore pleased to see some of the recommendations we put forward during the course of the independent review, such as the introduction of clear national and regional aspirations for housing delivery and ‘embedding an infrastructure first approach’, incorporated into today’s consultation. “But more detail is needed on how other proposals, such as ‘giving people an opportunity to plan their own place’, would work in practice so we will be listening closely to the views of our members as we review the consultation document in depth and develop our submission. 10 Jan – Construction innovation and collaboration facility readied for spring unveil The Construction Scotland Innovation Centre has commenced work on an innovation and collaboration facility at Hamilton International Technology Park, Lanarkshire, for completion by the spring and a formal opening in the summer, reports Urban Realm. 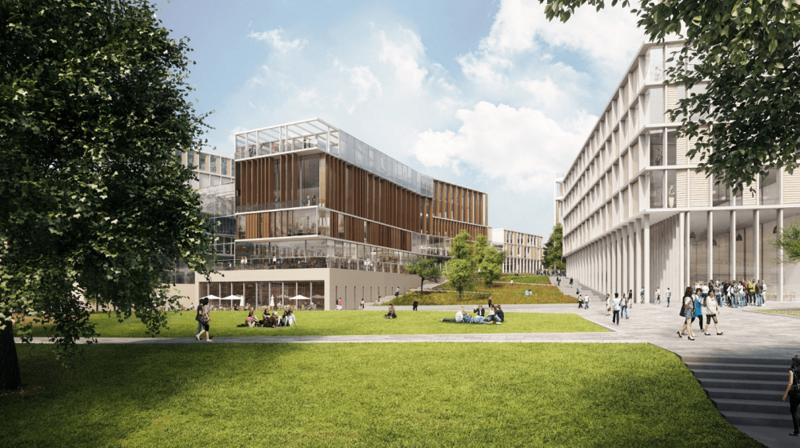 9 Jan – University of Glasgow campus overhaul secures blessing of planners The University of Glasgow has secured consent from planners to press ahead with a £1bn campus masterplan which will see the institution expand over the site of the existing Western Infirmary, reports Urban Realm. Submitted plans call for the creation of a variety of research and academic buildings and crucially paves the way for a range of complementary facilities to be built alongside buildings for university use; including a hotel, housing and retail, scotching concern about their impact on Byres Road and the city centre. 9 Jan – Report sets out work required to restore and protect iconic buildings and monuments. Culture Secretary Fiona Hyslop today confirmed a £6.6 million capital boost to support investment in conservation work, repairs and visitor facilities at several of Scotland’s iconic heritage sites and monuments. The announcement follows the publication today of the most comprehensive conservation assessment ever undertaken on the properties in care of Scottish Ministers. Commissioned by Ms Hyslop, the study provides for the first time, a comprehensive picture of the condition of more than 300 properties managed by Historic Environment Scotland on behalf of Ministers, and sets out the work required to address the impacts of deterioration and climate change. The report estimates conservation and repair work to the value of £65 million is required over ten years to restore and protect heritage sites for future generations. The additional funding announced today will enable conservation work to start at priority sites including Doune, Stirling and Edinburgh Castles during 2017 – the Year of History, Heritage and Archaeology. More information on the Edinburgh Architecture website news page. 1 Jan – We wish our readers a Happy New Year! News will start flowing soon. 27 Dec – Fourth phase of delivery at its Maryhill Locks housing development in Glasgow by Bigg Regeneration, with 33 family townhouses off Lochgilp Street, report Urban Realm. Designed by JM Architects the plans maximise amenity space and provide appropriate context to the Kelvin Walkway, with each home enjoying an open aspect out across the river. 26 Dec – Lee Boyd were successful in a limited competition to provide architectural services for Charlotte Chapel who have moved to St George’s West Church in the centre of Edinburgh. 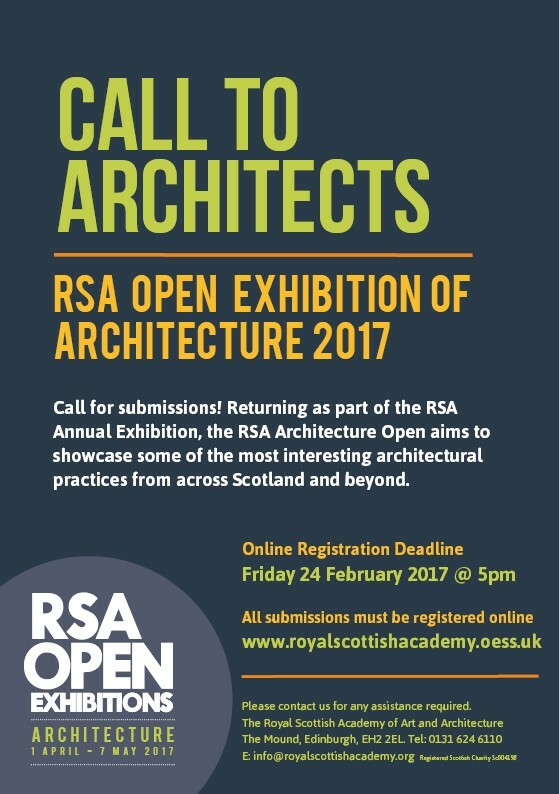 RSA Architecture Open 2017 – Call to Architects! “Whilst there is generous capital spend on the delivery of affordable homes, which is welcomed, our members tell us that it is harder than ever to commence new sites and get much needed homes of all tenures out of the ground. Job Summary: Fantastic western firm are looking for 5 x Site Architects with site experience, working on a large low rise project for Expo2020 and an Office project in Dubai. Job Description: Western architectural practice is looking for 5 x Site Architects to work on the Expo 2020 site on a large low rise project as well as an office project in Dubai. 14 Dec – IMPACT Scotland : a new, world-class concert venue in the heart of Edinburgh’s World Heritage Site. More information on the Edinburgh Architecture website. 13 Dec 2016 – Scotland’s builders are finding it harder than ever to make a start on new sites and get much needed homes out of the ground, a claim trade body Homes for Scotland (HFS) says is substantiated by statistics published today which reveal that, at 48.5 weeks, the time taken on planning decision times for major housing applications remains more than three times the statutory period of 16 weeks. In fact, for the period July to September in 2016/17, the time has actually slowed by a day from the previous quarter. The news follows yesterday’s housing report that annual completion levels have effectively flatlined at an average of around 15,000 since 2010 – still some 40% below pre-recession levels – with a worrying drop in the total number of homes being started. “With today’s figures showing no improvement, slow planning decisions, together with complications relating to conditions and developer contributions, continue to be one of the main blockers to the delivery of housing. “We know Ministers are not happy with current performance and that Scottish Government officials are looking at the root causes of the delays. Whilst we hope that the planning review will refocus the system and prioritise the delivery of enough new, high-quality homes to meet housing need, the truth is that we just can’t wait for that. Industry body Homes for Scotland (HFS) has launched its 2017 awards scheme, with entries welcomed across a variety of categories designed to showcase the wide-ranging achievements of a sector that plays a crucial part in our country’s social wellbeing and economic success. Those companies shortlisted for Private Development of the Year will also be put forward for the prestigious title of Home Builder of the Year, with the independent judging panel undertaking interviews with senior management during site visits to recognise the more rounded nature of this award. In 2017, interviews will also be conducted with those shortlisted for Supporting Organisation of the Year. All winners will be announced at the Homes for Scotland Annual Lunch at the Edinburgh International Conference Centre on Friday 12 May 2017 which will be hosted by comedian Tim Vine. Now entering its 15th year, it is the largest such industry gathering with a record 1100 guests in 2016. “The HFS awards remain a key aspect of what we do for our members and this year we are trying to take the refreshed and refocused scheme of 2016 to an even higher level. That means continuing with a format of more stringent judging criteria, which I believe makes our scheme the most robust in the industry and very much worth winning. The Scottish Transport Minister officially opened the new £41m Edinburgh Gateway train-tram interchange. The new station, in the west of the city, will help to transform travel options for passengers from Fife and the north giving them easy access to the Edinburgh tram network and the city’s airport. More details on the Edinburgh Architecture news page. South Ayrshire Council is to hold a pre-application consultation into proposals to build a new Queen Margaret Academy on 13 December ahead of a formal planning application. The £25m school is being designed by BDP in consultation with key stakeholders to guide its conception. A long-standing gap-site on Glasgow’s Jamaica Street could soon be plugged following submission of plans by pub giant J.D. Wetherspoon to erect a KDPA-designed hotel, reports urban realm. An extension to the A-listed Crystal Palace this will see a nine storey build rise on the adjacent plot containing hotel accommodation and a rooftop garden and bar together with new ground floor openings to facilitate direct access to the reception and courtyard. The focus is on Policy priorities for housing over the next Parliamentary period.